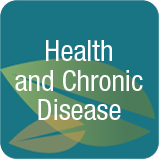 Health & Chronic Disease – By the age of fifty most of us will be diagnosed with one or more chronic diseases for which we will be prescribed medication. Chronic diseases include heart disease, diabetes, breathing difficulties, cancer and other diseases treated by medication. How does one disease relate to another? Does the diagnosis of one disease result in another disease? Managing health and chronic disease becomes a part of our daily life. Learn helpful information to make the best of health and daily life. Does Cognitive Impairment Result in Physical Decline for Care Recipients and Their Caregivers? Several months ago I met a married couple aged 97 and 95 and was amazed that they were still living at home and were fairly active. Most clients I meet who are this advanced in age have multiple chronic diseases and great difficulty with daily activities. This was not the case with Jim and Barbara.